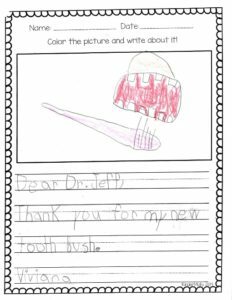 Eggert Family Dentistry Visits Area Schools For Children’s Dental Health Month! 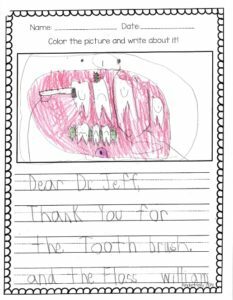 Eggert Family Dentistry is celebrating Children’s Dental Health month this February! 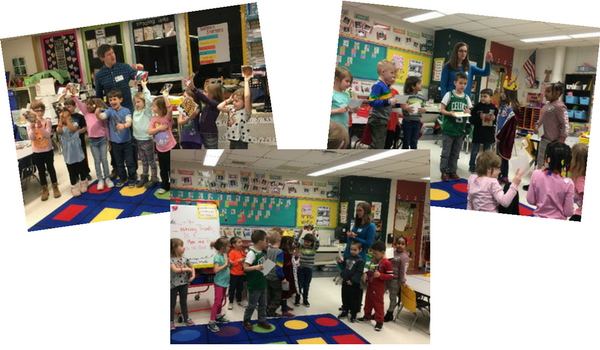 Dr. Elizabeth and Dr. Jeff visited Pike Lake Kindergarten Center and presented to 5 classrooms about teeth, cavities, keeping teeth healthy, and healthy food choices. The children were excited to go home with tooth brushes and floss as well as the favorite item – a 2 minute timer! 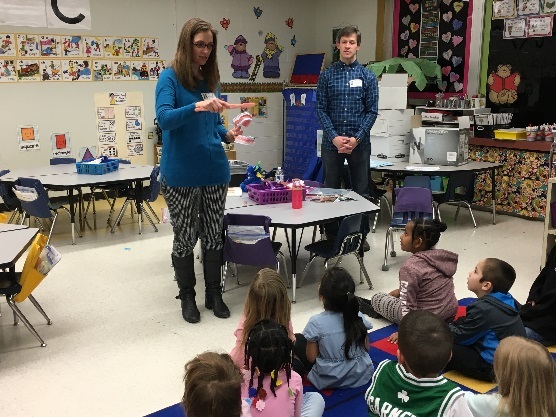 Our hygienist Joanna also presented to 2 classrooms at the North Oaks Pre-School where the goodie bags were also well received. Our team loves to do these community outreach events, and we always enjoy our time with the kids. We are happy to come to your school too, just call us at 651-482-8412 to arrange it! Parents can start building healthy oral health habits in children as soon as they’re born! Wiping down a newborns gums twice a day with a soft moistened wash cloth or a bit of damp gauze is very important to the health of their gums. When your little one’s first tooth appears it’s time to get them a toothbrush! Start a soft-bristled brush with a large handle and some water. You can upgrade to fluoride free toothpaste when they turn 1 and as soon as they are able to spit into the sink it’s important to add in a fluoride-based toothpaste to protect their teeth. Good oral care in children is important in preventing cavities, decay, and infection that could compromise their overall health. Kids should brush their teeth twice a day for two minutes each time. It’s a great idea to use a timer in the bathroom to ensure your child is brushing thoroughly and to make it more fun! Flossing removes the plaque from between the teeth where a toothbrush can’t reach so it’s vital that kids get into the habit of flossing once per day. Finally, bringing your children to us at Eggert Family Dentistry for their regular recare visits is an essential step in maintaining their healthy smile for a lifetime!